…. but now it can be told. One panel has never been completed. 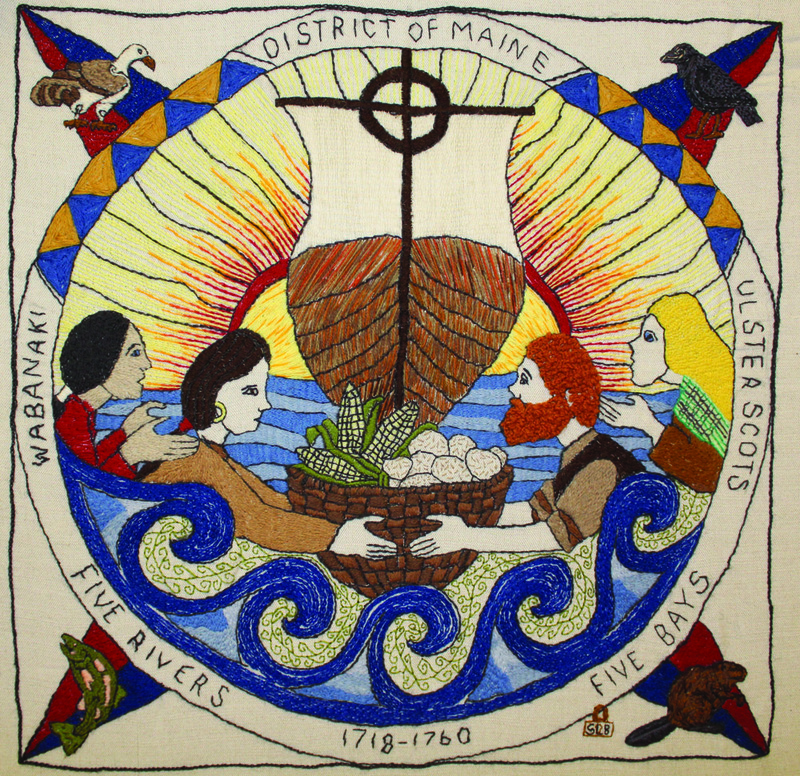 It's US05, The District of Maine. All the normal kit was despatched but since that date there's been no word at all. An alternate panel was created that has lately been displayed in the vacant US05 slot depicting US Presidents with Scottish Ancestors - the most recent of course being the current incumbent, Donald Trump, whose Gaelic speaking mother emigrated from Lewis. This was stitched for us by Gill Lindsay who had earlier created the panel depicting 'Scottish' Prime Ministers of the UK. However, a new kit will soon be on its way to the US to have a second go at completing the artwork. P.S. Whilst writing here, we are expecting a reprint of the 2nd Edition of the Official Guide later in 2019. If any of our international friends and stitchers know of any errors still present in that 2nd Edition [or their names have been inadvertently omitted on the outside rear cover!] please be in touch as soon as possible and we'll do our best to include all changes. We already have a 'volunteer' proof reader!